I wanted to quickly tell you about my latest snag from Influenster. I received a complimentary Venus Snap razor. I brought it with me on my trip to Colorado a couple of weeks ago, and I'm ready to share my thoughts. 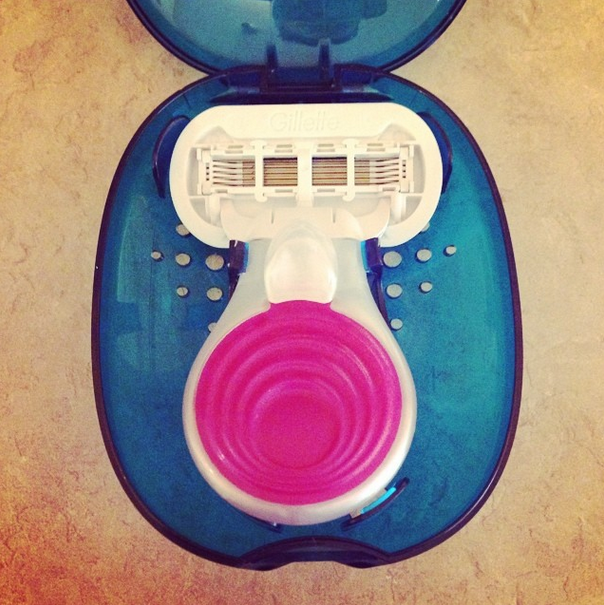 If you've used a Venus razor before, you know exactly what to expect with this blade. The razor cartridge is identical to a full-size Venus razor, which is great. I was a little concerned about controlling the razor, because it's so short. The grippy handle prevented any cuts from slipping, but it did take a little while to get used to the shorter length and holding on to it. I also really like that the razor case has holes in the bottom to allow for drying. All in all, I think this razor is great. It's perfect for travel, with its small size and carrying case. Give it a try!